As you may know, this project is a collaboration between 16 Danish food co-ops who received a grant from the Danish Foundation for Organic Agriculture to develop an open source membership system for local food co-ops. That grant has allowed us to hire IT consultants Socialsquare to facilitate a process to bring together volunteer developers to develop this system throughout 2015. But as we enter 2016, the formal part of this collaboration has come to an end. And thus, Socialsquare is no longer formally involved in the project, though some of their employees may continue to contribute as volunteer developers. Unfortunately, we haven’t yet reached our goal of building a Minimal Viable Product that can be tested in a local food co-op. As often happens with IT projects, it has proven to be a more complex and a slower process than we had anticipated. Particularly, this is because we have had to reorganise the project as we found that the Scrum process that we started out with wasn’t well-suited to working with a larger team of volunteer developers. A current estimate is that there is about another 100 hours of work to have a MVP ready for test and use in a local food co-op. But since there is no longer any consultants or developers paid to work on Eggplant, all development from here on in will be done by the volunteers of the Eggplant community along with the members of the local Danish food co-ops. It’s a lot of work, and based on the current rate of progress with our bi-weekly hack days, it’ll take the community a long time to reach this goal. 2. The first test will take place at Køge Økologiske Fødevarefællesskab. A number of food co-ops have offered to test the system, but Køge are willing to commit a number of volunteer hours to set up test and give feedback on the system. For the past few months, all development has been done by our community of volunteer developers. And even though we’ve had some good hack days and quite a few interested developers, development overall has been slow. We’ve also developed a set of clickable wireframes as a shared reference for the functionality that we’re aiming for. You can check them out here. For the coming weeks, we’re having a final Scrum sprint in collaboration with Socialsquare, the consultants leading initial development of the platform. Together, we’ve set up a milestone for what we hope to achieve. Check it out on GitHub here. We’ve decided not to rush developing a product that can be tested quickly but which will prove difficult to maintain in the longer run. Instead, we’re focusing on building and documenting a solid foundation that new and old volunteer developers easily can work with and build on. By the end of the sprint, we hope to have a well documented basis and a number of small, well-defined concrete issues that developers can get started with fairly easily and continue the work. As you can see, the system is far from done yet. And it’s difficult to estimate how quickly it will progress as it depends on the time and energy of the volunteer developers. We hope to have the core system ready for at test in December or early 2016. A number of Danish food co-ops have enquired about testing the system, and to begin with, we’ll probably focus on one food co-op. From here on in, we’ll aim at doing bi-weekly hack nights at Tranevej 20. We haven’t settled on a specific weekday yet, but will try to accomodate everybody. Current status for development is that we have a huge pull request that Benjamin has been working on for the past month, refactoring Pawel’s webshop module into a bigger Market module that both covers webshop, payments and accounting. When this PR is merged in, we’ll have a solid basis for adding features towards a Minimum Viable Product. After a series of weekend hackdays, we’re switching gears to make it easier for more people to attend our hacks. So the next hack will be on Wednesday the 21st of October from 17.00 to 21.00. It’ll be a drop-by session where everyone is free to drop in and work for as long as they like. We’ll set up some food and drinks as well. Pietro is a programmer from Italy, and he’s joined Team Blue. Though he’s work with web development for years, he’s new to Python and Django, so he spent the day getting set up and diving into the docs. Marie is an anthropologist, working on her thesis at the IT University. She’s interested in open source development and is studying Eggplant as part of her fieldwork. She joined Andreas in sketching wireframes for the membership administration flow in Balsamiq. Basically, they have added more depth to the clickable prototype here. Click on the different roles underneath the member profile on the left to access the various administration functionality. 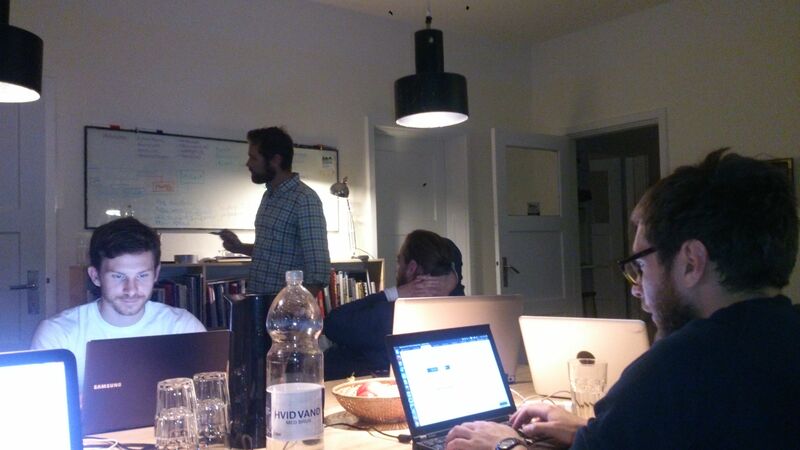 Benjamin spent most of his time reviewing and refactoring Pawel’s code for the webshop module. It’s now growing into more of Markets module that also can handle accounts and invoicing and more. Check out the work in progress on GitHub here. All in all, good work was done. But we hope to see some more good folks at the next hack day, which will be Saturday October 3rd, also at Tranevej 20. Let us know if you’re coming on Meetup. Hack day #5 coming up! 11.00 Welcome: Get set up and settled in, presentation round, and introduction to the project and the tools we’re using. 11.15 Sprint planning: What will we be working today? Team Green will design of the user interfaces. This time we will focus on mapping out the flow for signing up for shifts in the food co-op, this includes drafting wireframes of the user interface using the web tool Balsamiq. Check out the current wireframe prototype here: https://foodnet.mybalsamiq.com/projects/foodnet/grid. No technical know-how is required to participate. ~16.30 Sprint review: What have we designed, learned and built today? Food and drinks will be sponsored by Copenhagen Food Co-op. Everyone is welcome! RSVP on the MeetUp page to let us know that you’re coming! Pawel fixed it so that a new account is automatically created when a new user signs up. Also cleared up a few issues with the sign-up form. Benjamin implemented an automatic check for pep8 so that pull requests that does not match the style guide will fail the Travis tests. He also found time to set up Cover-alls so it works, and an autogenerated developers’ reference called Sphinx. Check it out here. Martin finished up designing not only a logo and logotype for the project. He also whipped up a whole set of flavicons and a first draft for a complete styleguide. Check it out here. Andreas polished off a prototype of the system in Balsamiq, including front page and check-out screens. You can check the whole flow here. Next hackathon will be on Saturday, September 5th. Give us a heads-up if you plan to attend here. Please note that this time, we’re meeting up at the co-working space Tranevej 20 – located at Tranevej 20, Copenhagen NV. Anna, Martin, Martin and Andreas revised the sign-up flow and made a set of clickable wireframes on Balsamiq. Check out the and feel free to give some feedback here. This project started out with the working title “FoodNet”. But that was never meant to be the real name of the project. It was just a descriptive title to put on the project grant application. So, we’ve been dancing around this for a while now, and as part of the latest hack day, it was finally time to settle on a proper name for the project. Both in order to buy and set up a proper top-level domain name, but also to build an identity (logo, design, etc.) for the project. So Andreas sent out a poll with a number of name suggestions, and the related domain names that it would be possible to buy. The field was soon whittled down to three candidates: FoodNet, Potluck and Eggplant. And on the hack day, the name was put to a vote among the people present. It didn’t take long to name the project Eggplant. 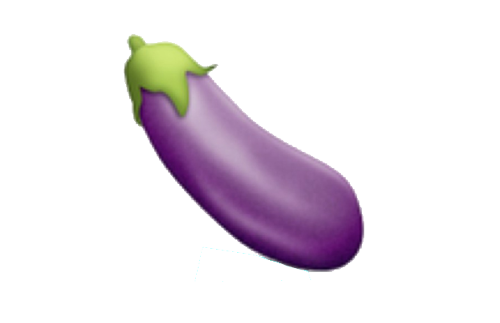 So, now we’ve bought the eggplant.dk domain and will be setting up the project website here in the coming weeks. Building on the momentum and experiences of our first hackday, we set up a second straight away, before the summer holidays set in and announced it in our new MeetUp group where all meetings and hackathons will be announced from now on. The day was set up as a small scrum sprint in its own right, complete with initial sprint planning, hacking, sprint review, and a sprint retrospective over pizza. A lot of good work was done as part of the hackday – check out the details on Balsamiq or on Pivotal Tracker. The next big hack day will be in the beginning of August. We’ve sent out a doodle to find the date. Add your preferences here.